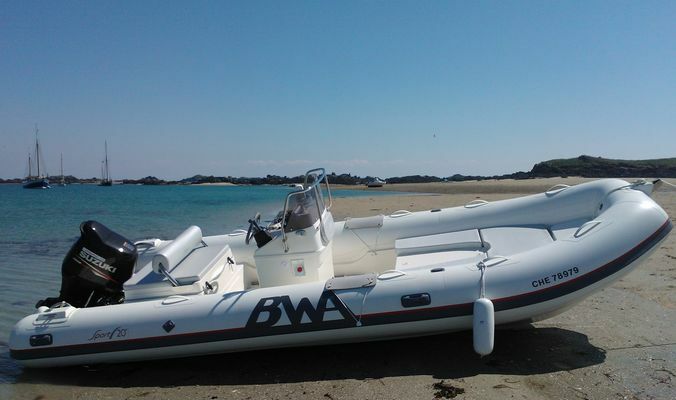 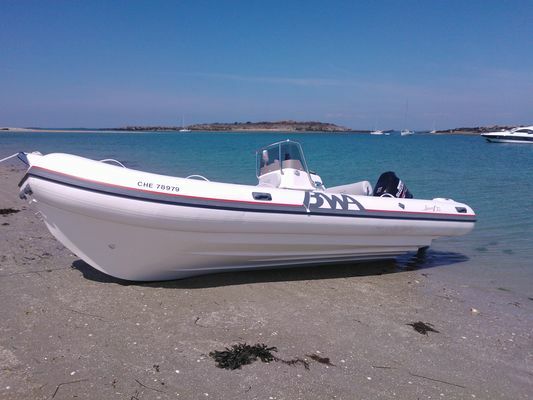 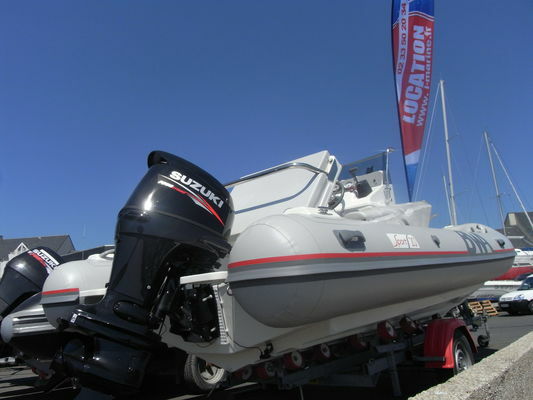 8-Person, 6M BWA RIB for hire, SUZUKI 140 hp motor, GPS combo/HELIX sonar and safety equipment (if sailing within 6 miles of coast). 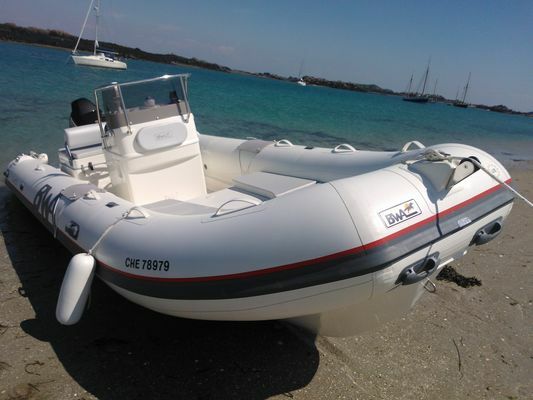 Boat moored in Hérel.Port Towable inflatable and life raft (if sailing more than 6 miles off coast) available for hire at extra cost. 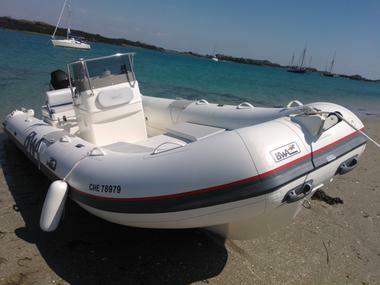 Ideal for excursions with friends or family.